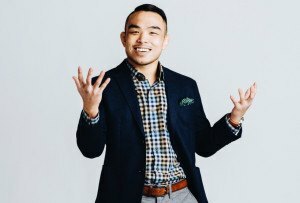 The popular outfitter now has a giant store in the Pru. 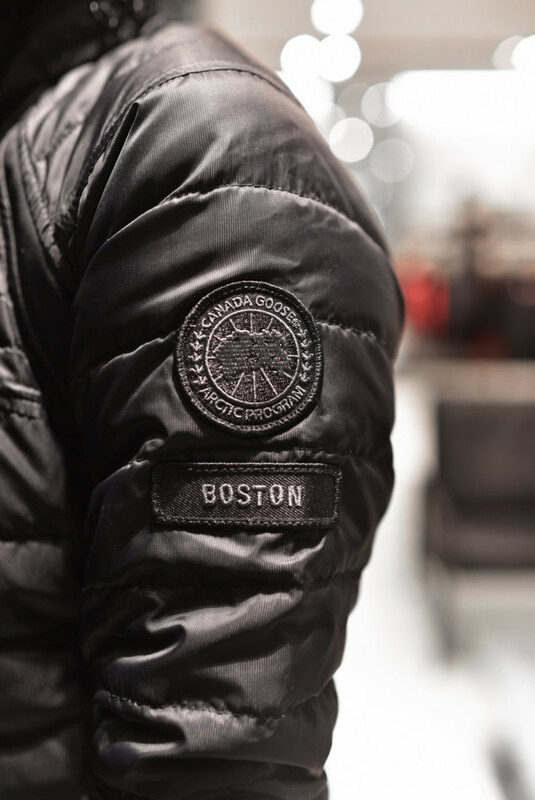 By Abby Bielagus·	 11/29/2017, 2:53 p.m.
No need to search the shelves at the dozen or so Boston retailers that carry Canada Goose for this winter’s jacket; the brand’s newest flagship is now open in the Prudential Center. 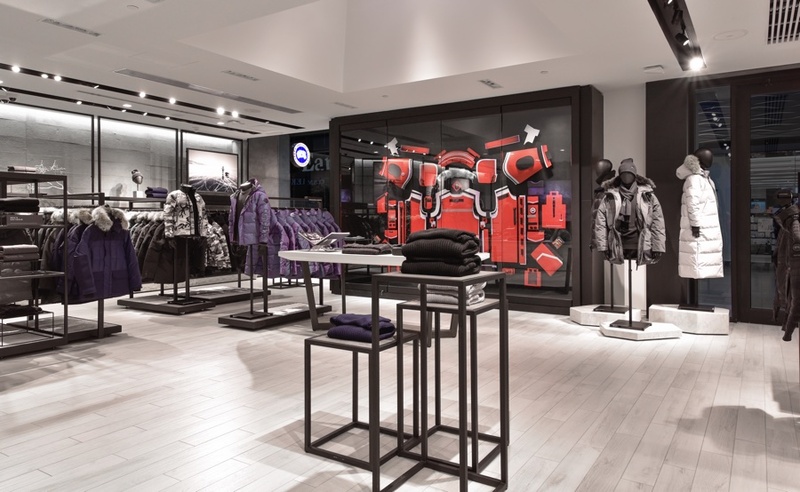 The 4,955 square-foot space will house over 200 jacket styles, as well as accessories, youth styles, and knitwear. 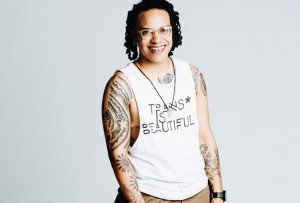 There will be a handful of pieces exclusive to the new location, and the popular archival pieces. 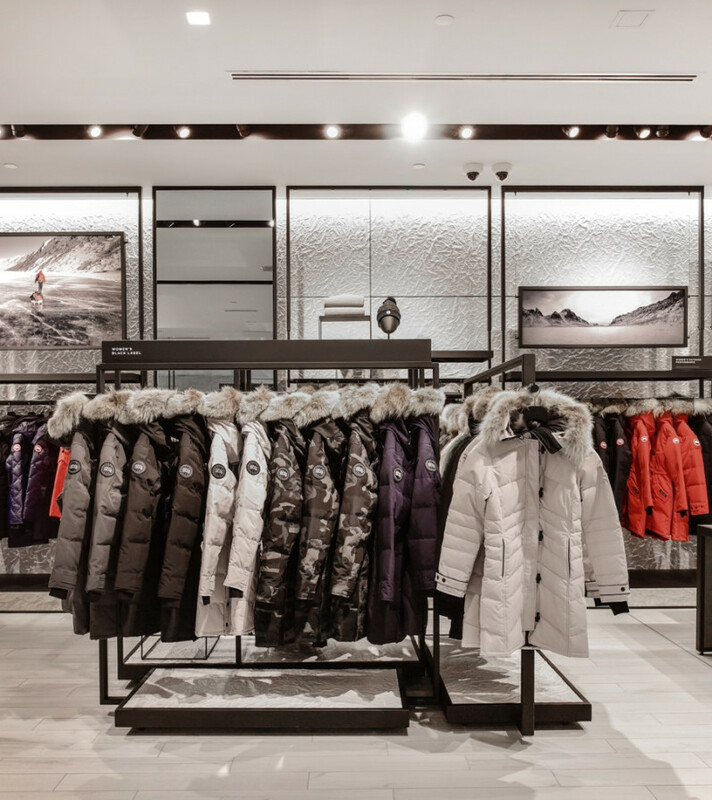 The store’s very polished interior features design elements from fellow Canadian companies and brands. 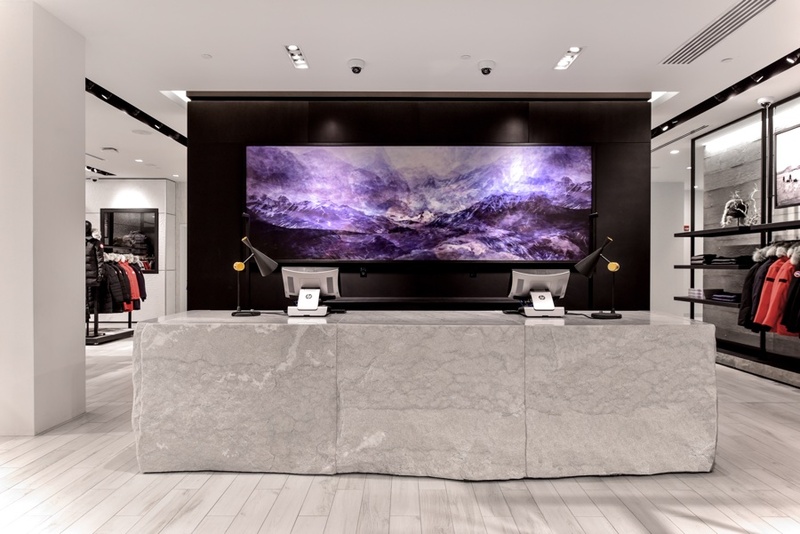 For instance, the reception desk is carved from a single piece of marble sourced from a quarry in British Columbia, all of the furnishings are custom made by Montreal-based furniture company Montauk Sofa, the benches outside the changing room were made in Ontario by millworker DB Johnson, and the artwork was shot by Canadian photographers. 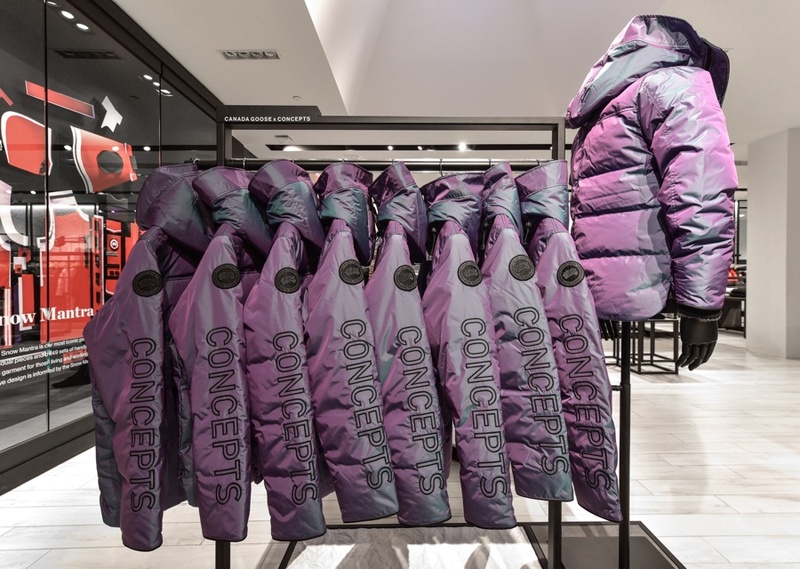 The recently-launched Macmillan Parka collaboration with local streetwear company Concepts will also be available at the store. 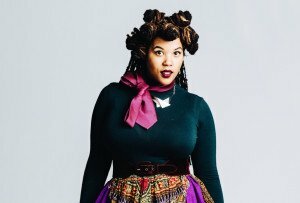 So for real, please stop “borrowing” your friends’ jackets. 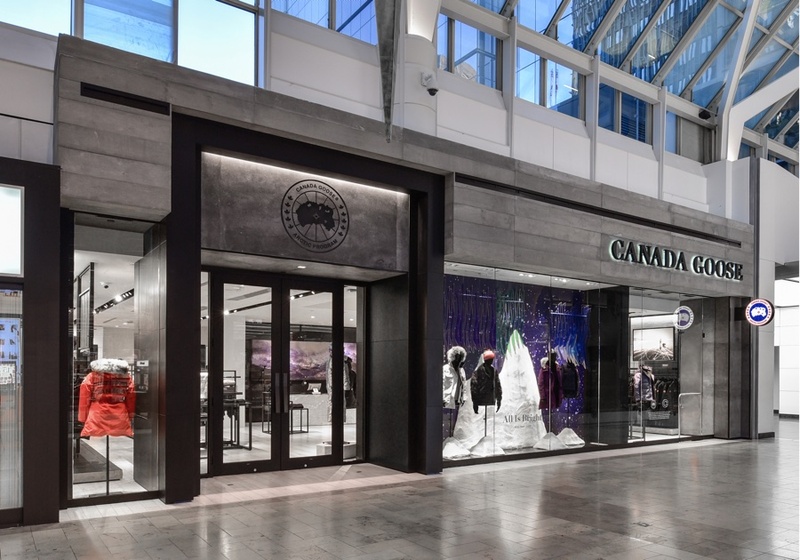 Canada Goose is located near Eataly in the Prudential Center at 800 Bolyston Street. 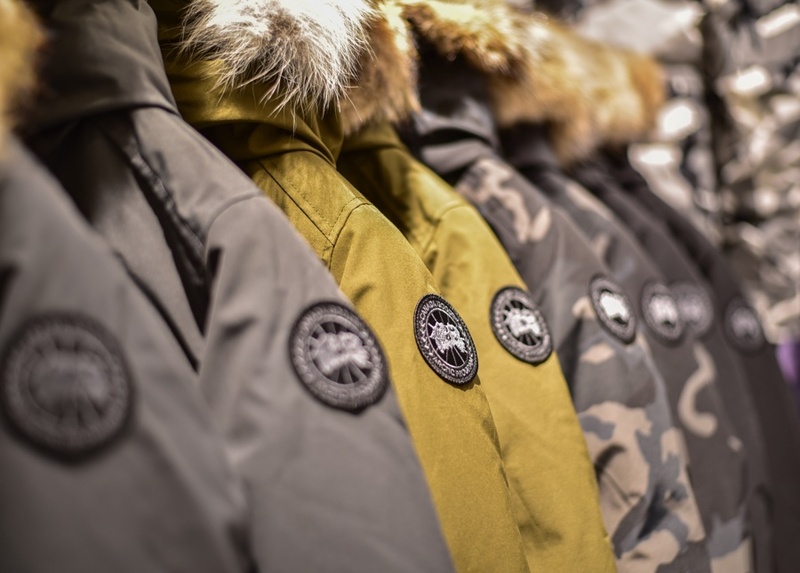 Hours are Monday through Saturday from 10 a.m. to 9 p.m. and on Sunday from 11 a.m. to 7 p.m. For more information, visit canadagoose.com.